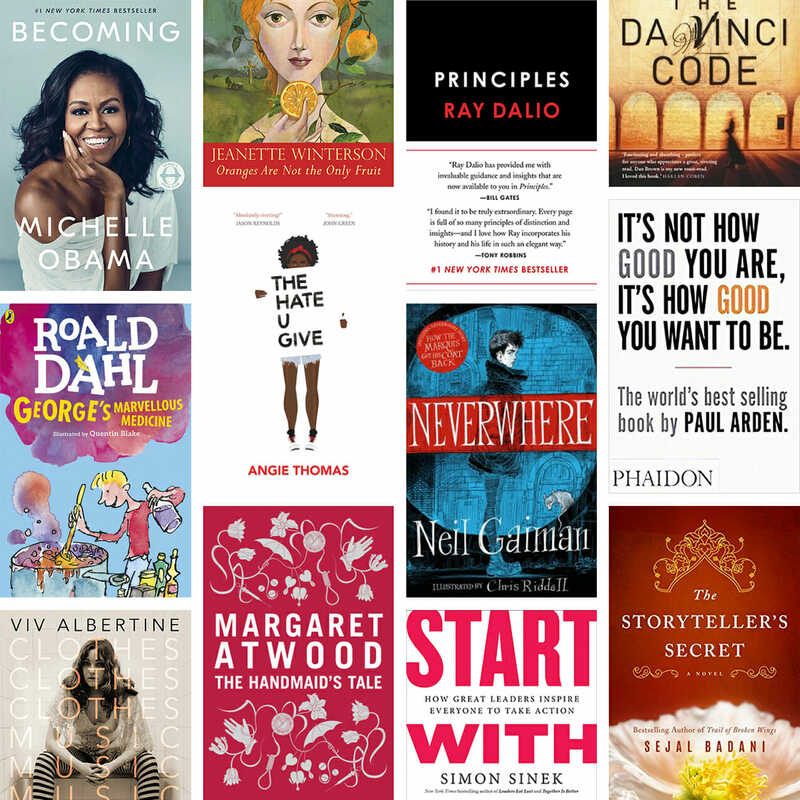 World Book Day: A Collection of Brilliant Books! With our costumes safely hidden away for World Book Day, we take the time to celebrate the books our team have been enjoying so far this year! Every agency touts that “you’ll learn something new every day” and at Brilliant it is somehow (almost miraculously) true, but that isn’t to say we’re done learning for a day when we leave the office. To keep ourselves at the fore of new industry developments you’ll find our subscriptions to Campaign and The Grocer kicking about in the office, thumbed through by a different member of the team each day. On top of this, you’ll find piles of marketing classics and new releases from thought leaders of our industry. A particular favourite of our MD, Mike, is The Daily Stoic by Ryan Holiday, and you’ll often hear a quote a day, or a thought for the week taken from this book. Ray Dalio’s Principles is considered as the bible of the office, packed with down to earth suggestions that get straight to the point and offer direct (and sometimes difficult to hear) advice that will get you where you want to go, but faster. Losing My Virginity is the provocatively titled bestseller from Richard Branson which tells some of the stories that made the famous serial entrepreneur that we know him as today. If you want to discover how someone can reach the pinnacle of the business world without losing their sense of fun and love for danger, then this should definitely be on your ‘to read’ list. The Personal MBA is a way to get a solid grounding in the principles of business and economics without devoting a year to full time study. You might not be the next Richard Branson when you finish reading Josh Kaufman’s book, but you’ll certainly be further along your journey than you were when you started. Start With Why by Simon Sinek asks you to do what it says on the tin. This book is perfect for anyone who ever has dreams of being a true leader, being the person that automatically inspires the people around them without ever having to give an overly dramatic pep talk. But this isn’t just a book for those who want to become a leader of their field, it’s also a great read for anyone who wants to understand why we do the things we do, and who wants to find their own sense of purpose and belonging. Becoming was one of the most anticipated books of 2018, as the poised grace of Michelle Obama revealed insights into the former first lady that couldn’t be revealed during her tenure in the White House. Gaining new understanding into one of the most graceful women in politics kept us all on the edge of our seats, and reading long past our bedtimes (yes, we still have those as adults, take a look at this post if you don’t believe us). It’s Not How Good You Are, It’s How Good You Want To Be by Paul Arden is a pocket essential for anyone with a dream. It’s unlike most other books that talk about how to succeed by actively addressing failure and how that can be just as useful in developing your style and getting to all of those seemingly impossible career locations. Neil Gaiman is a personal favourite, creating worlds that are only just implausible and seeing magic in the most everyday of objects. After reading Neverwhere I haven’t been able to look at famous London locations in quite the same way, and not so secretly, I hope there is a London Below where rats are kings and angels aren’t always what they seem. The Hate U Give might be publicised as a book for young adults, but the issues addressed within are unbound by age. It tackles racism in environments everyone can connect with, and skillfully weaves in the struggle for a clear identity that every former teenager will remember. The combination of raw coming of age vulnerability with the harsh realities of race relations and unaddressed bias makes Angie Thomas’ debut children’s book even personal and even more evocative. The Handmaid’s Tale is particularly unnerving in that you can easily see how our world could become Offred’s. Atwood’s dystopia has gained new attention with the launch of a hit TV series which has had two brilliant seasons so far and a third series already on the way. For lovers of the book, it is interesting to see what changes have been made from paper to screen to accommodate the evolutions in our society that have occurred since the Handmaid’s Tale first came out in 1985. Roald Dahl holds a special place in all of our hearts, but our Studio Manager Lynne will regale you with tales of trying to recreate George’s Marvellous Medicine (much to her mum’s horror)! Maybe it was this book that brought her creative spirit to the fore, maybe it was something else, either way, we love hearing about the childhood memories that have been made as a result of reading. The House of Mirth by Edith Wharton is a twisting, turning tale of marriage and money in high society of New York. We follow the heroine Lily through different phases of her life and her various misadventures with courting and fate. Wharton captures a busy life in just a few hundred pages, and makes modern dating through apps like Tinder and Hinge seem like the more simple option in the end. And so, here’s to another World Book Day – we hope you’ve spotted something on our list to add into your reading list for this year. Enjoy!